1814 - Reeling from their disastrous defeat at Leipzig the previous year, Napoleon and his army crossed the Rhine back into France. The Emperor hoped this great river barrier would provide him sufficient time to raise a new army. But, just as the Marie Louises, as these conscripts were known, began to arrive at the front from their various staging areas, the Prussians, under their stalwart Prince Blücher, crossed that great river with surprising ease. A second great Allied army under the command of Prince Schwarzenberg took a more southerly route. Scarcely had the new year turned before "On to Paris" could be heard cried out in a dozen different languages from soldiers in their tens of thousands filing down the two great parallel roads toward the French capital. As incomplete as his preparations were, Napoleon gathered what troops he could and tried to forestall this mass. They met at Brienne (Jan. 29th). It was just a skirmish but the Emperor could claim success. This proved fleeting as the Allies consolidated their troops and overwhelmed the French at La Rothiere (Feb. 1st). For the Allies, however, this victory proved worse than a defeat would have, for they became over confident. Prince Blücher, deeming the road to Paris open, chose to ride pell-mell for the prize. Not only did his progress put ever increasing distance between himself and Schwarzenberg's force, but his own columns became strung out. Napoleon was quick to seize the opportunity this presented. Leaving a small force to tie up Schwarzenberg, the Emperor turned north and struck the Prussians in the belly, crushing a corps at Champaubert (Feb. 10th). 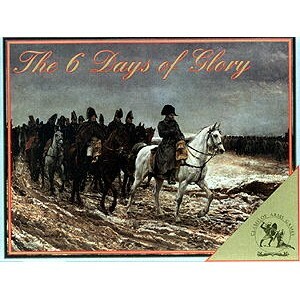 Before Blücher could even appraise the situation Napoleon hit him again winning the battle of Montmirail (Feb. 11th). And while Blücher frantically tried to regain his balance he was struck once more at Vauchamps (Feb. 14th). For a brief moment in February, 1814, Napoleon once again possessed the sacred spark. 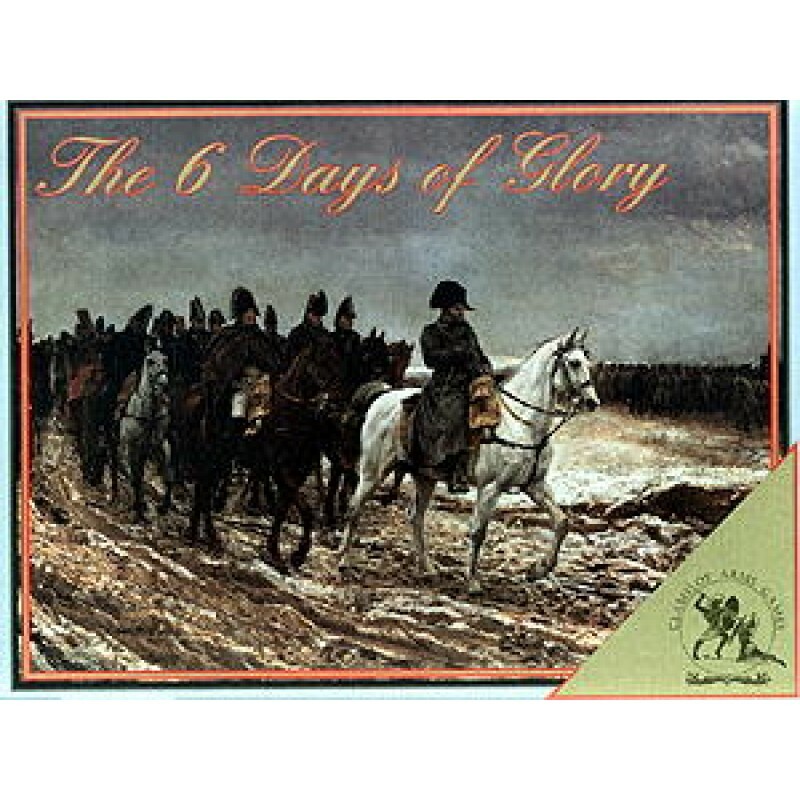 History has since remembered this time, calling it The Six Days of Glory.